Good morning! It is a fresh start to a new day and a new year! Are you excited about 2016? I sure am! Today I am really excited because I want to help you organize your home and life! Really! 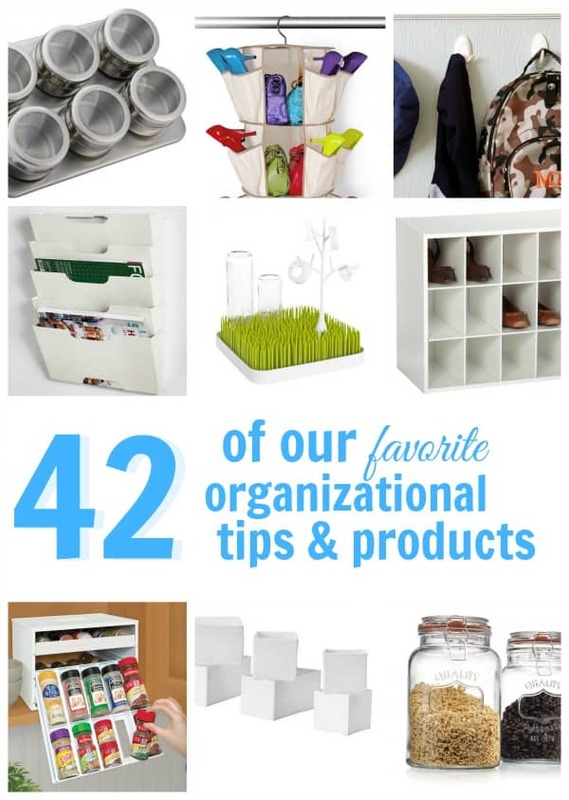 So I have teamed up with a few of my favorite bloggers to share our favorite and the best Organizational Products out there! These are items that we all USE in our home on a daily basis! We love them, and we can’t wait to share them all with you! Plus, we have a really awesome giveaway going on too woot woot! Where TWO of you could win huge gift cards to Amazon so that you can organize your own home this year! 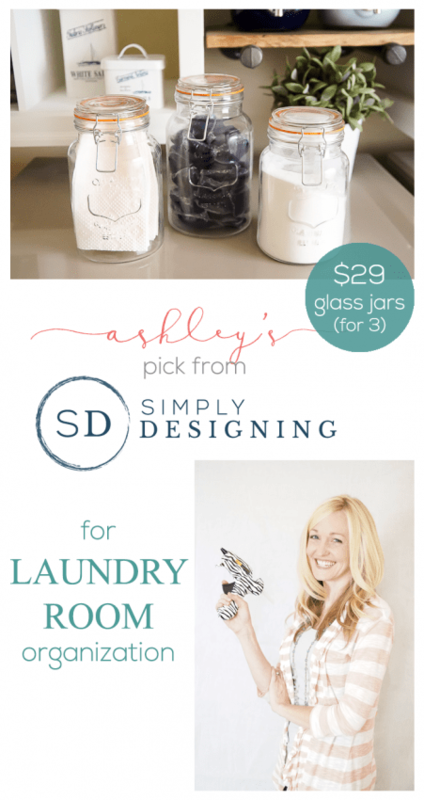 I recently completely a makeover on her Laundry Room to help make it a beautiful and functional space. I got rid of my wire shelf and replaced it with beautiful new shelving. But once the new shelving was in place, I realized that I didn’t want to put the “ugly” plastic laundry containers back up on my pretty shelves. So my solution was to purge what I didn’t need or use, then transfer all of my necessary laundry products into beautiful glass jars and pretty containers making the space both functional and beautiful! There are so many beautiful options of pretty containers out there, but my favorite ones are these Glass Canister (set of 3) with Hermetic Seal Bail & Trigger Airtight Lock that you can pick up for under $30! Are you ready? It’s time to get organized and refocused and so we are sharing 42 home organizing solutions for your home! Each of these items from my friends are products they use and love! I just know you will love them! My favorite is the Youcopia Spice Stack. I love a lot of them, but at the moment my favorite would be the living room control box, I am in hospice care, so everything I own is remote control, so when hubby goes to the store, I can do things for my self. So many great ideas! I love the metal shelf to help my disaster of a linen closet. This is an amazing idea! Thanks for sharing. Hi, I’m Anita visiting from Freedom Fridays.